Free Windshield Repair... Ask Me How! World Class Auto Glass provides OEM quality replacement windshield glass and replacement auto glass in Arlie, Bealeton, Bristow, Buckland, Calverton, Catlett, Gainesville, Haymarket, Manassas, Marshall, Midland, Nokesville, Warrenton Wellington, and Fauquier County and Western Prince William County. We do serve other adjacent areas by appointment only. World Class Auto Glass has a goal to deliver service, quality and value second to none. Our auto glass repair business uses only the highest quality products, adheres to the strictest safety standards, and offers convenient on-time mobile service, all at the most competitive prices. Our auto and light truck windshield glass replacement mobile service can visit your home or office during normal working hours and after hours by appointment. At World Class Auto Glass, we’re proud to offer you affordable, stress-free auto glass installation and repair services right at your location. Spend a few extra dollars now for a quality replacement job or spend much more later. 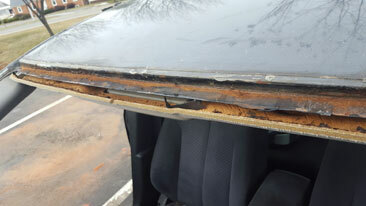 See damage from a poor replacement job in the image above. World Class Auto Glass has a goal to deliver service, quality and value second to none. 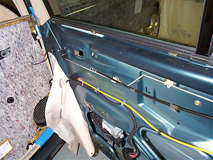 Our auto glass repair business uses only the highest quality products, adheres to the strictest safety standards, and offers convenient in-shop and mobile service, all at the most competitive prices. 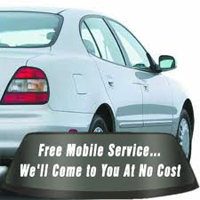 Our auto and light truck windshield glass replacement mobile service can visit your home or office during normal working hours and after hours by appointment. Your Windshield Has A Vital Role In Your Vehicle's Integrity! Windshield repair is safe, effective, convenient and takes less than 30 minutes to complete. We can repair chips, nicks and cracks up to about the size of a quarter. A quality windshield repair will restore the structural integrity of the windshield, help prevent the damage from spreading, and make the blemish much less noticeable, without removing and replacing the glass. Every Effort Will Be Made To Beat Any Competitor’s Quote! With our team of certified installers, you are assured a quality installation adhering to the highest industry standards. Auto Windshield Glass has become an important part of the safety envelope in your vehicle and proper auto glass replacement is important to maintain the structural integrity and safety features of the vehicle. As a concerned customer desiring to protect your family, you'll want to do everything you can to insure your auto glass is replaced using the proper procedures and that the company doing the work is registered with the Auto Glass Replacement Safety Standard (AGRSS®). Insurance Claims are Processed Directly, and remember to choose World Class Auto Glass! or Cost to You! We Help File Claims for You. No Insurance • No Problem! We Offer Very Competitive Pricing on Non-Insurance Claims! I just wanted to write to thank you for a job well done as well as being a pleasure to deal with! I called after seeing your company van and was able to secure an appt. the very next morning. The technician was on time and did an excellent job. Thanks again and we will definitely use your company again. I just wanted to again thank you for the quick and professional service you provided when I called to have a windshield replaced. Keep up the good work it is very much appreciated. I would like to thank you so much for taking care of my windshield problem. I was very impressed that I called you Friday evening and my windshield replacement was completed by 11:00 am Saturday morning. We set a time and you were there when you said you would be. I was impressed with your professionalism and the fact that you were also a regular person who treated me as an equal. You made sure that I knew what you were doing and informed me of what to do after you left in order for my windshield to set properly. Thank you for being affordable. Thank you for taking care of my problem without adding to my stress level. My windshield is holding great and it's nice to be able to see clearly again. I will most definitely refer you to people. My daughter works at a repair shop and I asked her to take one of your cards in case someone asks about getting a windshield repaired. 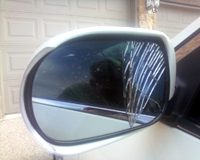 World Class Auto Glass LLC. No Insurance • No Problem! We Offer Very Competitive Pricing on Non-Insurance Claims! 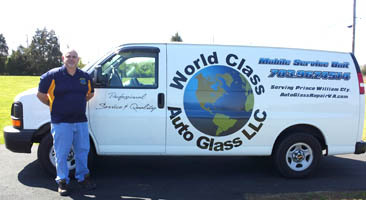 World Class Auto Glass LLC is Locally Owned and Operated.